Eloi Gerard, serial entrepreneur and co-founder and CEO of Shanghai-based virtual reality (VR) content studio Crow’s Nest, spoke with eMarketer’s David Green about why VR commerce is key for brands. 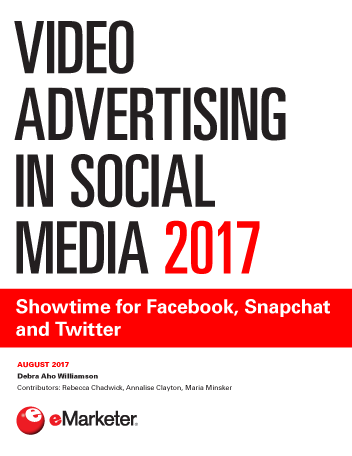 eMarketer: You’ve worked with a number of interesting clients, including Chinese real estate developer Vanke, Thomas Cook and Peugeot Citroën. How did these relationships come about, and what are prospective clients’ expectations when they show interest in VR? Eloi Gerard: In our view, the main way people are going to use virtual reality and interact with a brand will be in VR commerce. Even if we are doing brand awareness, [one of our clients’ goals] is that we help them shape their VR commerce. eMarketer: How does Crow’s Nest focus on conversion? Gerard: I think the selling point is that we try to link at some point to sales. So when we work for travel companies [like Thomas Cook], we are building a library of content that is reusable into a potential ecommerce application in VR. It’s not something that we’re doing because it’s cool or because the client likes it. eMarketer: Presumably it requires a lot of client education. Gerard: We spend a lot of time on education. It doesn’t work to have an intermediary or middleman like an agency in between what you are doing and the brand, because it’s so experimental. We need to think with the brand itself—we need to explain precisely what you can and cannot do, and try to experiment and learn together. eMarketer: Do you think phrasing what you offer in the context of a clear customer journey appeals to brands by presenting it in a language they are familiar with? Gerard: Yes, but right now there are no strong metrics for VR. Let’s face it, there is absolutely nothing. There are no figures, no [return on investment] ROI. You cannot prove anything about VR, and those who say they can, I would be quite surprised if they could. We have some really good data, but it’s still not significant enough. For example, we have a travel client who says when you sell something through VR, it’s increased sales by 180%. But it’s just too small to be significant, though it is very promising. eMarketer: Is travel where you see the major breakout opportunity for VR? Gerard: [Chinese luxury travel player] Zanadu is trying to lead [having opened a VR concept store in Shanghai] but there is no ecosystem yet despite many people having invested a lot of money. There will be one major actor at some point. Maybe it’s going to be Airbnb, but at the moment we are at an in-between stage and there is plenty of room for new ideas. 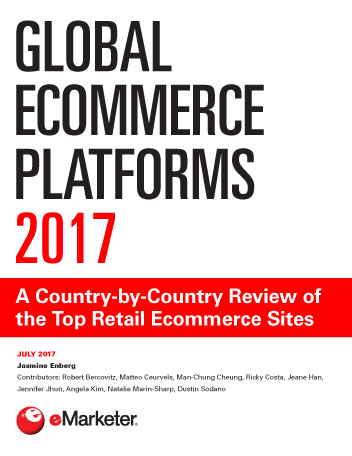 eMarketer: Alibaba-owned ecommerce website Taobao seems tailor-made to adapt to act as a VR gateway. Is that where you think the first VR commerce platform with real traction will emerge? Gerard: Some [venture capital firms] think the big player in VR commerce will not be Alibaba. They think there will be a new startup that will emerge, but I haven’t seen any so far. I’m also not very convinced by what Alibaba is doing. There is no killer app that uses the full capabilities of VR, even when you might expect to sell in VR—like travel. Soon there will be a VR flow, where you will be in either a VR application, VR social media or VR entertainment platform, be exposed to advertising and then redirected to a VR store. We don’t know yet [whether that will come from] Alibaba, Tencent or Baidu, or maybe none of them, but someone will take the social media VR space. eMarketer: Do you think people are happy with how quickly VR is becoming mainstream? My sense is that there is some frustration at the lack of content from users, and at the pace of commercialization from the brand side. Gerard: I don’t agree. It’s quite good where we are. Last year, around 6 million headsets were sold worldwide. That includes Samsung Gear VR, PlayStation and HTC [Vive]. We don’t know what the sales are for the Chinese headsets. We imagine that there are probably 1 million or 2 million real users. It’s going to take maybe 10 years for people to use VR like we are using the mobile phone right now, and for it to reach 80% of the population. VR probably won’t be mainstream, because there is no point wearing a VR headset in day-to-day life. What will probably help to make VR mainstream will be MR—mixed reality. [Augmented reality maker] Meta is probably the most advanced with MR right now, because Microsoft said they would not release their HoloLens upgrade before 2019.
eMarketer: Do you see live streaming and MR becoming part of the live feed? Gerard: I don’t see live streaming in VR or in MR developing fast until we solve the big problem, which is stabilizing the camera so the viewer doesn’t feel that it’s shaking—but we are far from that. We will need to develop new types of sensors, and no cameras are currently strongly focusing on that. eMarketer: What are the key things that need to happen to accelerate worldwide adoption of MR or VR? Gerard: We need to have wider and integrated standards, the technology to achieve [more varied movement] ... and we have to integrate more interaction with the user—like hand gestures—and integrate that into smartphones. We also have to wait for Apple to say something, to do something. It hurts the whole community because it delays investment and development when we don’t know what this major actor is doing. 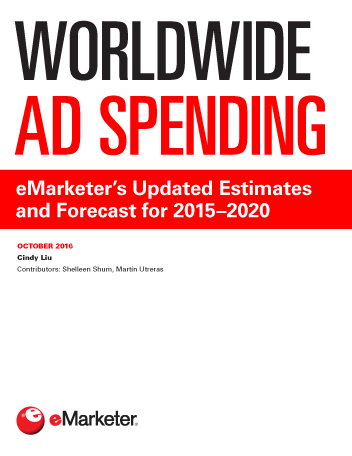 eMarketer: What about in China? Gerard: We suffer because some headset manufacturer sells to big brands without thinking about an application or how this company is going to use what they are selling. The brands don’t understand how to use these systems and put their plans for VR on hold for six months, and that is not helpful. Content creation is also an issue here because it is hard to find good creatives, and of course in China content is politically sensitive.